If there is one thing I complain about going from school to work is finding something to wear. Throughout my years in the public school system, I had a relatively easy time picking out something to wear because there was a dress code and a common code. The dress code was what the school board officially deemed as appropriate to wear. The common code was my own internal sense of what I should wear based on my age, the weather, and insight. Essentially, the common code is a jazzy way of common sense. However, once I got to college the rules went out the window. I saw people in everything from a suit to pajamas going to class. There was no dress code at all. I even heard from one of my instructors that a girl was late to class so she came bikini-clad since she had been sunbathing just recently. But as my years as a co-ed drew to a close, it was obvious that I was going to have to put together the dreaded office ensemble. Most places now fall under one of two categories for office clothing guidelines: business professional or business casual. Most of the places I have worked at fall under business casual given that there is too much activity going on to be effective in a skirt and heels yet still distinguished enough to disallow flip flops and tank tops. In this hub, I am going to discuss some common rules I apply to dressing for work including multi-functional pieces, must haves, what not to wear, and Casual Friday. So for any woman looking to dress for success, this is the hub for you. I once heard someone say "Dress for the job you want, not the job you have." The job I want does not yet exist but the job I have is a great starting place for me to continually develop my own sense of style. My sense of style evolved in my later college years as I wanted to be taken seriously and not seen as a frumpy student. However, what I wore in college was pretty much a continuation of what I had worn growing up, just in line with my age and taste. When I shop for clothes, several things come to mind for what I need to buy and some common factors always apply. Appropriateness: Is this piece okay for the office? Will it be considered appropriate for an eight hour day? Use Value: Can this piece be used for other purposes such as layering and non-work activities? Will I wear this more often than not? Need: Is this essential to my wardrobe or is it just on sale and looks good no me? Climate: Is this conducive to the environment of where I live as well as the office environment of air conditioning/heating? Of course, these factors may vary based on your office attire needs but generally having these things in mind is very helpful in picking a work appropriate outfit. 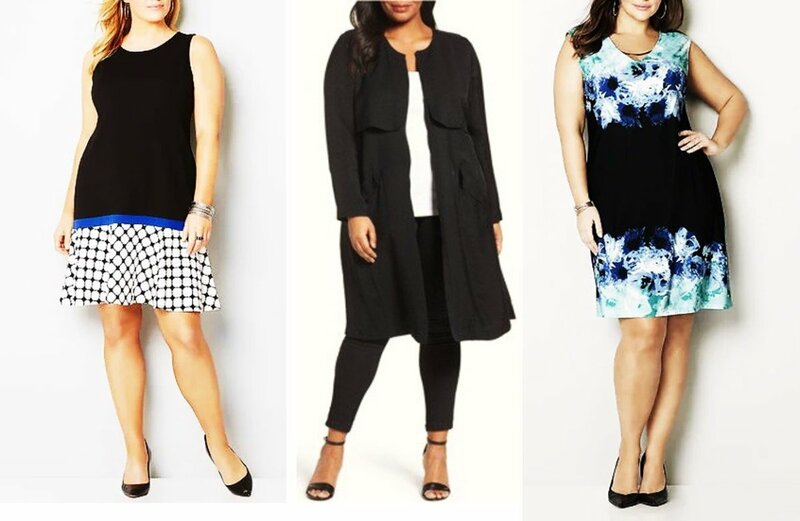 Now the question comes as to where you should shop for your office clothes. It depends on your budget and taste but these places have helped me for sure in getting an office wardrobe together. New York and Company: If you do not know about New York and Company, I suggest you get very familiar with them. 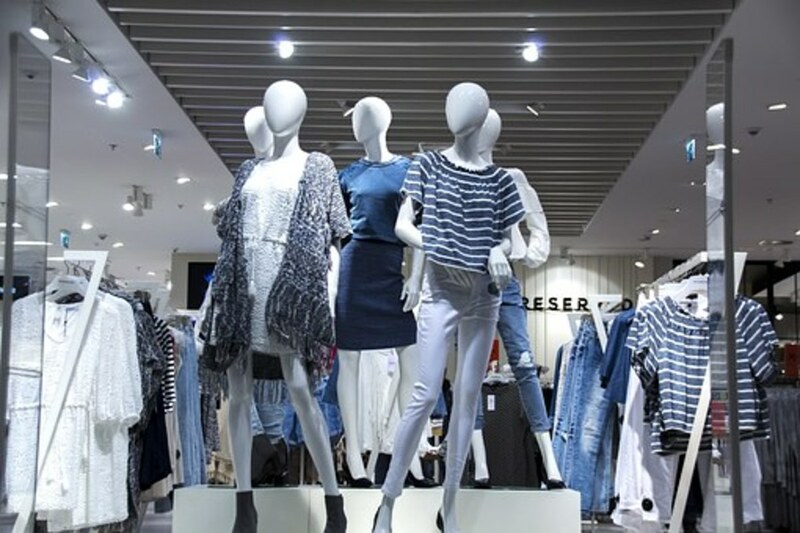 Not only do they have a multitude of sizes and lengths to suit the clothing needs of most working women, they have amazing sales and discounts at least once a month. I recommend going here for your slacks and crop pants because they have a wide selection of color, shapes, and styles to suit your taste without breaking the bank. Target: I know some people lament the big box stores for a variety of reasons and while I never completely agree with their approach or tactics at times, I definitely think they still offer some great clothes. Target has brought me a lot of success in terms of offering good tops for layering, nice sweaters at a reasonable price, as well as some nice dark washed jeans that look good for Casual Friday. As a bonus, i would also recommend checking out their limited edition collections offered each season. Jason Wu, who designed First Lady Michelle Obama's inauguration dress is among one of the latest designers featured. Sears: Unfortunately Sears and JC Penney have unnecessarily earned reputations as being geriatric central for clothes. And while it's true some of their offerings are great for the retired set, they offer a lot of great things for those of us still working too. I like them because they offer layaway which so many stores are now cutting out. But I have managed to find great sweaters and pants on sale recently that will last a long time. TJ Maxx/Marshall's: My local TJ Maxx and Marshall's recently irked me by not offering layaway any longer. I do not know why but I think it was because they just got tired of doing it. I still like going there for a nice dress for any occasion or separates at a reduced price for layering. These stores are just some places where you can go but I also recommend shopping at thrift stores and exchanging clothes with family and friends to find other items you may need for the office. Even though I don't write everything I know down, it comes to me at times like this. But in all honesty, I think every woman should approach dressing for work or anywhere for that matter like a guy plans his weekend watching sports. You have to give yourself enough time in advance to set up, have a backup lined up, and always trust your instincts. Here are some basic clothing items I consider essentials for any woman working in an office or professional setting. Cardigan: I have enough cardigan sweaters to set me up as the heir apparent to Mr. Rogers, but in the office they are very important. All year long they serve a great purpose. In warmer weather they offset sleeveless shells and short-sleeved tops by offering a nice cover up and they also keep you from being cold due to the air conditioning blast. I recommend having one in black and white as well as a couple of other commonly loved colors in your closet like blue and green. T-Shirt Tops:These are the kind of tops I mentioned that I find at Target. Essentially they have the shape and appeal of a fitted t-shirt minus the writing and designs. I like to pair these with cardigans for a nice layered effect. Again, I say you should have a few in a several different colors to match your cardigans and your slacks. Slacks/Crop Pants: In my current work, I do a lot of moving so wearing slacks and crop pants is more feasible for me. However, I also get cold easily because of their air conditioning so they help keep my legs warm as well. I like to buy my slacks in standard colors like black, gray, navy, and brown. But for crop pants (if your work allows) I like to get brighter colors to compliment the seasons of spring and summer. They pair will with t-shirt tops and cardigans too. Dress: I think dresses are great in the summertime to beat the heat when most offices disallow shorts. There's nothing better than a loose fitting dress made of breathable material like cotton or jersey and depending on the season you can add tights and/or boots for year around wear. Skirts:I like skirts as well. For the office, I prefer something I can move in easily but is not too long. A-lines are my favorites by far but it depends on your shape what works for you. Flats: My favorite thing about business casual is that I do not have to wear heels. Having to stand for long periods of time is hard enough and I prefer being comfortable. And for all of you heel lovers, there are great designs in flats. These pieces work well but there are also some principles you should have in mind when putting everything together. Less Is More: Everyone says it but not everyone does it. If you look neat, professional and confident, I think that is more than enough. Monochrome Can Mean Monotone: I say this out of experience and observation, but wearing one color can paint you as either a lover of one color or someone with issues. All black is one thing but all lime is another. It's all about discretion. Club Wear Does Not Equal Work Wear: I have never lived the night life but common sense tells me that slinky top and platform pumps does not work the same kind of magic in the office as it does the dance floor. The Fingertip Rule Still Applies: For those of you who do not know, it's if your hem comes above your fingertip that you should not wear it. I have no qualms doing this but it helps delineate the line of too short versus just right. The Bend Top Test: No matter the size of your bust line, the last thing you want to do is expose yourself too much by wearing a top that's too low or for those of us with bigger chests shows too much cleavage. I know Katy Perry jumps rope to test her outfits but since none of us will be singing "ET" on stage, I think if you try to bend in the dressing room will help see if the top is appropriate, needs editing, or just has to be ditched. Whale Tail Should Only Be a Movie: This is hard for anyone who has pants that are low cut or even the newer ones below the waist. You have to make sure you're not showing your co-workers where you get your unmentionables. A belt is helpful but you might want to try bending again in the dressing room with your rear facing the mirror. Jewelry Should Be Simple: Coco Chanel famously said she took one item of jewelry off before heading out. I think you might can add two for the office but either way, you should not look like Mr. T's sister unless you want to resurrect the A-Team. Friday is always everyone's favorite day of the week simply because it marks the end of the week. However, Casual Friday at work can be a pain to prepare for and in many cases to witness. But that does not have to be you. Here are some quick tips for doing Friday right. Jeans Should Be Structured: Everyone has their favorite pair of jeans, but that does not mean you should wear them to work. I follow the advice of Clinton and Stacy on Want Not To Wear. They should be tailored and darker to look stylish and appropriate. Flip Flops Should Be At Home: I know people love their flip flops but they don't work even on casual Friday. In addition to being inappropriate they are also a safety hazard. Limit Logos: I think this is pretty self-explanatory. T-Shirt Time: For any of you who will publicly admit to watching our favorite New Jersey residents, this means a nice t-shirt can go along way. Who said these kids were up to no good? What really matters is that you remember where you are and who you work for no matter what day it is. And that being said the best compliment to any outfit is a nice smile and a good attitude. Professional Business Attire for Women. When it comes to dressing for the workplace, some women feel they have few options. In fact, there are many types of attire that are appropriate and professional, and suit most career fields. It was a pleasure to read your informative, well written hub. I love that you included casual Friday! Some people male and female seem to think it means wearing the rattiest clothing available. Then they wonder why when it disappears. I hear you about jewelry too. I worked with a person who wore about fifty pounds of bangle bracelets every day plus other jewelry too. She sounded like a stampede of reindeer. People used to wonder how she never got struck by lightning. You have put together some great advice here, and not just for grads new to the workforce. Everyone needs to update their working style from time to time. Kudos! I totally agree- I hate clothes without pockets. I don't see the point in them. I wish more clothing designers thought like you. Thanks so much for coming by and commenting. I appreciate it. I love your straightforward style of writing. Your information is helpful and presented in a user-friendly way which is something I really appreciate. I have always said that if I could start my own clothing line, every piece of wardrobe would have pockets. I like clothes that do not require dry cleaning and hardly ever wear anything without pockets. I'm glad you found this hub useful! Thank you for coming by and commenting! Great article. Very useful for anyone needing a few tips on dressing appropriately. Voted up and useful. A uniform is a good idea! Thanks so much for coming by and commenting :). Sweat pants are too casual to me as well! Unless you happen to be working in a gym or are a gym teacher. Thanks so much for coming by, commenting, and sharing! Great job Alecia! I like that you even include about casual Friday. I had that at my last job and some people wore sweat pants yikes. That is tooo casual for an office in my opinion. I vote up and sharing too. Thank you StellaSee! I agree the thrift store is another great place to look because a lot of times some women just wear one item and return it after a couple of wearings- so it's practically new. Thanks Lady_E! And I agree with your choices. Flip flops can be too casual but at least the dressier ones make less of a flip flop noise. Wow, this was interesting to read and made me pause in a few places to reflect. I like to dress down on a Friday - sort of half smart/half casual (nice jacket/suit with a camisole... ish top and then Jeans. That way if I'm called into an impromptu meeting, the top part of me would look professional. Flip Flops? For summer, it's nice that they do some elegant ones with heels, so you don't hear the "flip flop" noise. lol. Thank you Rema for coming by and sharing your thoughts! I found this hub very interesting and useful Alecia. Well done. Thanks for sharing such a wonderful hub with your readers. Cheers, Rema. Thank you Tersco! I understand where you're coming from- if you don't get visitors, the desire to dress up is less. And the bend top test is essential now due to vanity sizing. Thank you unknown spy! I agree respect and confidence are earned when you feel good about what you are wearing. Alecia, great hub with useful tips. wearing an appropriate attire on work not only gain the respect of others but also can develop self confidence. Great article! After over 20 years in a business setting where my Southern California position required business professional attire, I was ecstatic to leave that behind. There was such a disparity between what was deemed appropriate in the various departments. I was in the heels, skirts or dressy slacks, silky top end of things. Don't get me wrong, I do like dressing up and would not dream of visiting a customer in casual clothes but it's not like the manufacturing company I was working for had visitors that would require the professional dress code. Oh, I like the Bend Top Test! I know someone now who needs to be clued in on that one. I did get the Casual Friday "law" passed many years ago and it was sure nice. The only other comment is climate. Even on the 80°-90° days outside I had to have a sweater on inside since I shared the thermostat with the owner who thought a meat locker temperature was perfect. Anyway, enjoyed reading this article. Thanks! Thank you mecheshier- I am glad you found this hub useful! Nice article. There are some wonderful tips and suggestions here. Thank you for sharing. Voted up for useful. I know what you mean. It's important to follow the rules but expressing your individuality is key as well. Thanks for coming by and commenting! Thanks carladominique! And I hope you find something to wear to work that complements your natural sense of style! This one is great! I now have the idea on how to dress up properly not being screwed up by my mom. But I'll go for my own style. I hope this hub can help you now. And good luck with your job! Thanks for coming by and commenting! I understand where you are coming from. And from my recent experiences the dress code has changed in a lot of offices. Most places I have worked at only require you look nice- usually meaning dress pants/nice shirt and decent shoes. Of course sometimes it is baffling how some people interpret that but generally it means dressing like you're eating a nice meal. But as always nothing beats being home wearing whatever. Thanks so much for coming by and commenting! I agree that the uniform of the corporate world is not fun but a lot of offices are trying to do different things with business casual. But I agree nothing compares to working from home. Thanks for coming by and commenting! I am so thankful that I no longer have to work in an office and be a slave to these artificially and externally-imposed "standards." Luckily, for the short time I did so (3 years), it was a pretty casual place, as we did not come in contact with the public. The older ladies and the HR staff wore dresses/skirts, etc. but in our dept. we were allowed to wear pants...even if not jeans: at least we could be comfortable. I despise dresses, and I don't even own any these days. In my opinion, women being forced to wear dresses and skirts, and men to wear suits, is sexist. Why should women have to deal with uncomfortable high heeled shoes (that are VERY bad for your feet and your back), while men get to wear nice, flat shoes, and have their legs covered against drafts, or winter weather? Conversely, why should men be forced to wear suit jackets when temperatures are in the high 90's or triple digits? Why should they have to tie what amounts to a noose around their necks every day? I think dress codes need to "lighten up." Let folks be comfortable (without lowering standards to the extemes of bikinis and tank tops/flip-flops). To me, the current standard for "professional" attire smacks of elitism of the well-to-do, ...I don't necessarily trust anyone wearing what currently passes for "professional attire," for I feel they cannot relate to those in my circumstances. I don't care if my insurance agent (e.g.) is wearing a suit or not--what I care about is that he knows what he is doing, and handles my claim properly and efficiently. As a semi-retired self-employed person, my "work clothes" are perfectly appropriate for my work--which can be dirty and messy. I wear jeans or jeans-shorts, weather depending, and any doggoned T-shirt or sweatshirt I feel like wearing. Or, I can work on my writing, in my office, in my pajamas, if I so choose. I call that "freedom." There have been many times when my writing assignments took me into the "corporate world" and I wore business suits and high-heeled shoes to work...in New York, New Jersey, and California. I much prefer working out of my home, as I'm doing now, usually wearing gym shorts and t-shirts. I wish more places would implement real dress codes because sometimes I get full view of things I don't need to see at work. Thanks for coming by and commenting! Awesome hub. I wear the heck out of New York & Co. stuff. Having lived in CA, I agree with Alocsin in that dress codes seem to have disappeared but that unfortunately has spread clear across the country. They need to read this hub ASAP! Thanks Mary! I'm glad this helped you. I have a limited budget too so it's hard to find things unless I know where to look. I have often thought I needed a professional clothes picker outer! I really struggle with this. I am not a big shopper, I have a limited budget, and I have no taste. I will print this out to help me with my summer needs. Thank you. I definitely agree with you teaches12345. Some people don't understand that casual is just that not sloppy knockaround clothes. Thanks for coming by and commenting! I haven't been to Southern California but I understand where you're coming from. Thanks for stopping by and commenting! Thanks Cyndi! I can't imagine trying to wear clothes that are comfy yet appropriate as a teacher or educational professional. Thank you for posting the casual Friday look. Many people tend to underdress for the office on this day. Your raggy, sloganed T is a better look at home washing the car! However, to their credit, companies should state what is acceptable for this day. Your hub is a good guide for those who want to know what to wear to the office. Voted up. I think this may be more of a problem here in Southern California, where any kind of a dress code has disappeared, and people wear almost anything to work. Helpful advice. Voting this Up and Useful. Thanks Sunshine! Unfortunately that uniform's only good for my dream office of my desk and laptop!